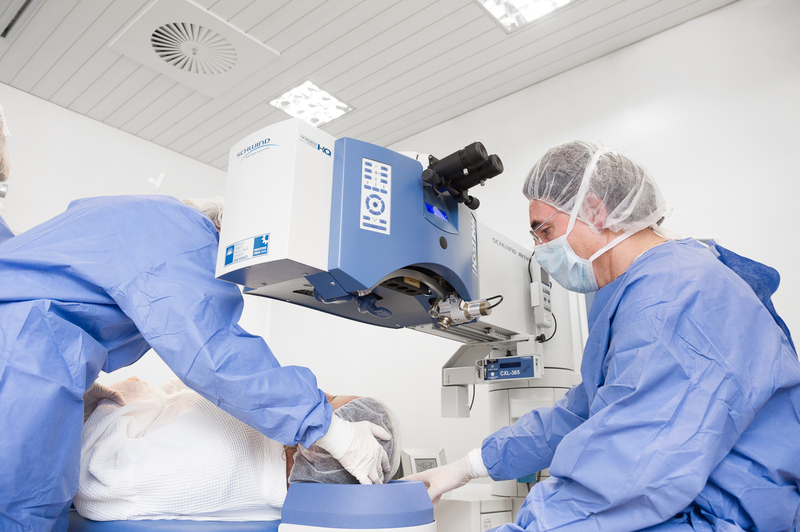 Thanks to the use of laser technologies, surgical techniques have reached a high level of complexity and have become personalized to the needs of the individual Patient. In cases in which there is a considerable degree of inequality in the refractive power of the two eyes (anisometropia) that cannot be corrected by using glasses or contact lenses, surgery offers an efficient solution to the Patient’s visual deficit. Refractive surgery can also offer a solution to the needs of professionals and sportsmen and women. We pride ourselves in our ability to offer our Patients personalized microsurgical solutions, selecting the most efficient and less invasive techniques and equipment.